Time seems to be flying and we are already 2 weeks into the third and final trimester. I have accomplished quite a bit in the last few weeks on the baby front but still feeling very under prepared. The spare room has finally started being turned into the baby room – the painting is done and the cot and compactum have been delivered and are in the room. We bought the pram at the Baby Expo in Sandton in March which is sitting at my mom’s house. So things are definitely getting prepared to meet our little princess but still have lists of stuff to sort out in the next few weeks. Weight gain/Measurements: weight at my doctor’s appointment yesterday was 63.1kgs. Belly is now measuring 95cm around the widest part. Symptoms: No major symptoms to report. My body seems to be adjusting to its new shape and with it I am getting the odd ache and pain especially in my right bum cheek. The doctor says it is because my pelvis is taking strain with the added weight in the front however it is to be expected. Other than that you can really see I am pregnant now and absolutely LOVING my belly. She is very active and I am feeling a number of movements throughout the day. Our munchkin loves the sound of Ryan’s voice and tends to give a good few movements if Ryan speaks to my bump. I am starting to get more tired and feel quite exhausted most days in the evenings … I don’t manage to get through any TV shows at the moment without falling asleep on the couch. Sleep: Still managing to sleep well as long as I have a pillow tucked in between my legs. Cravings: no real cravings at the moment although I am starting to miss eating sushi. Mood: Feeling pretty relaxed about being pregnant now and getting more excited by the day to meet our little princess. Baby update: She is growing and gaining weight nicely. She weighed 1.7kgs at yesterday’s appointment (more than doubled since our last doctor’s appointment 4 weeks ago where she was weighing 840g). The doctor seems happy with her progress and all her measurements are correct according to her age. 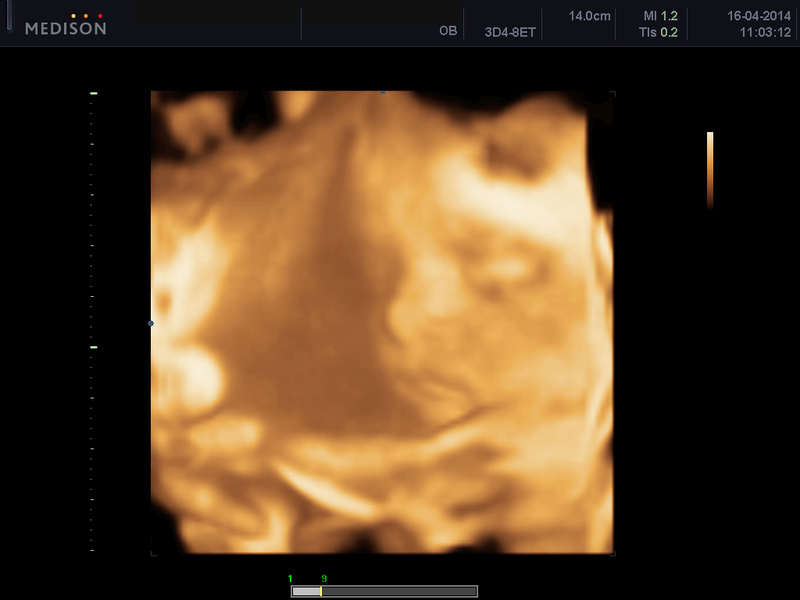 Best Moment since last post: Definitely our 4D scan – see the picture I have included. I instantly fell in love when I saw her little face and I am completely besotted with her already. Week 22 … the weeks are beginning to fly. 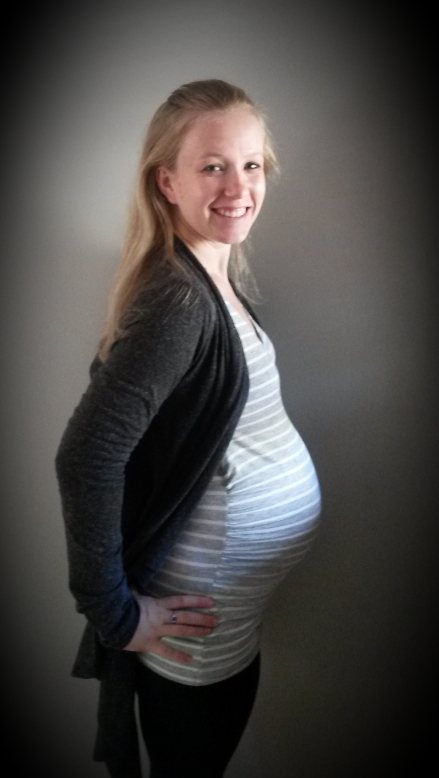 20 weeks down … 20 to go! Boy or Girl … testing out the old wife’s tales on our belly bean!